Rumor Mill: What’s coming from all the camera brands in 2017? 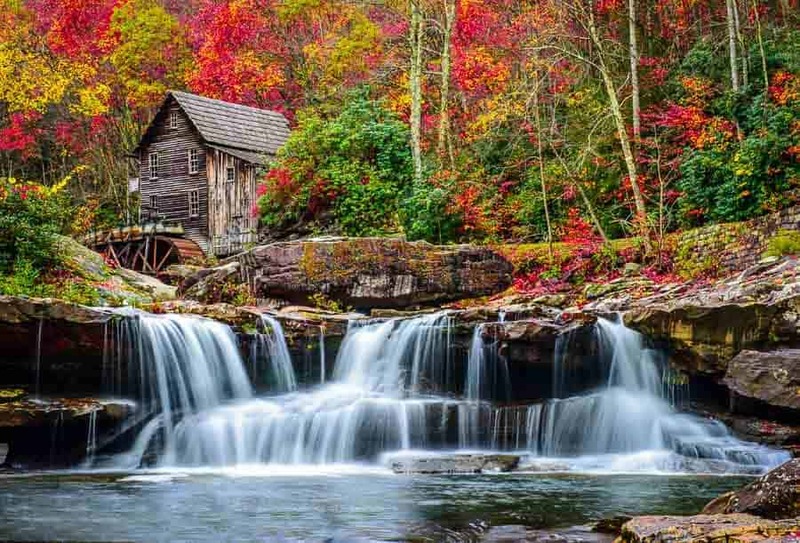 Babcock State Park in West Virginia. Photo by Jim Harmer. I don't have a crystal ball, but I do enjoy following the rumors of upcoming photo gear. Sometimes I get insider tips from those closely associated with the camera manufacturing process, but for the most part I'm like any other photographer. Here are my predictions of what the second half of 2017 will bring us in terms of cameras from many of the major camera manufacturers. I'd love to see your comments below on what you think of these predictions and if your ideas differ. All rumors point to an imminent release of the Nikon D820 in the next few weeks. I don't expect Nikon to release other cameras before the end of 2017. Nikon executives have stated that they plan to abandon the inexpensive DSLR market, or at least dramatically reduce the R&D in that sector. They also plan to continue the Coolpix line of cameras, and one executive mentioned last week that they haven't ruled out a very capable pocket camera to go between the cell phone and the DSLR. To me, that sounds like a Sony RX100 type of camera. The million dollar question for Nikon's future, in my opinion, is how long it will take them to produce professional mirrorless cameras using their existing FX lens system. All signals in the industry point toward the EVENTUAL end of the DSLR and move to mirrorless, but Nikon's J5 effort has seen little in terms of updates or promise. The Nikon D750 is the most popular camera among Improve Photography readers. In fact, if you shoot Nikon and read this blog, there's better than a 30% chance you shoot this specific model. I personally don't think we'll see a successor to the D750 in 2017. There have been very few rumors about this camera, although a Honduran newspaper did predict it this year–and you KNOW how accurate reports are from Honduran newspapers. I suspect the D820 will be announced in August and we won't see the D760 for another six months later so that the cameras don't compete against each other. 2017 is shaping up to be Sony's year. This year they became arguably the second-largest full frame camera maker in the United States right now (depending on how you interpret the numbers). The expensive Sony a9 has impressed reviewers, and they still have dry powder for one or two more full-frame offerings in 2017. Focused on speed for sports and event shooters. This is the a9 series. An image quality/resolution camera, which is the a7r* series. A low-light performance camera, such as the a7s series. Aside from the high-end full-frame mirrorless market which Sony is working on, it also is making significant strides with the more compact APS-C market with its a6*00 series of cameras. Every time I talk to someone who owns one, they tell me they planned to use it as a backup camera, but find themselves using it much more often than they imagined. I suspect a couple years from now that the successor to the a7rii will become the most popular camera among Improve Photography readers in a couple years. Right now, the Nikon D750 takes that award. I predict this camera will be called the a7riii and not the a9r. The a7rii was so well-respected that I think they'll stick with the name. 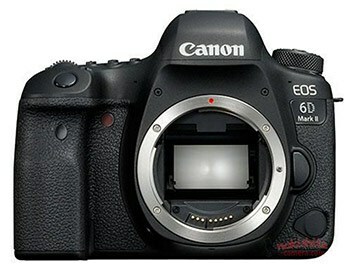 I predict the pricing of the camera will be $3,499 when released–less expensive than the a9. While Sony has never been shy about pricing products at a premium, I believe they'll stick to this price point to hopefully take market share from the 5D Mark IV or Nikon D820. My guess is the lower pricing of this camera will push Sony to name it the a7riii instead of the a9r. My best guess on an announcement date would be September or October. But that's a complete guess. There have been several sales on the a7rii recently, which may signal that they are clearing out inventory. I predict the camera will have 50+ megapixels. I think we'll see a resolution number that will make most photographers question the low-light performance of the camera; however, we all said 36 megapixels in the original D800 was far too many and then the low light performance was still very impressive. Then we said the same thing with the a7rii and the low light performance was even better. I doubt we'll see GPS built into the camera, which is a significant negative to this camera system in my opinion. Sony doesn't even offer an accessory GPS, but requires users to geotag using an app which doesn't work well. Better weather sealing. I'm told the weather sealing in the a9 is a vast improvement, but still not as weather proof as the full frame pro DSLRs from Nikon and Canon. It's an open question as far as I'm concerned if we'll wee the a7s iii in 2017. There haven't been many solid rumors, and both the a7s and the a7sii were released a couple months AFTER the a7r series cameras. The Sony a7s was a favorite among video professionals for its incredible low light performance. Canon: Will it finally release a mirrorless FF camera? Canon has already announced the 6D II a few weeks ago, and the 5D Mark IV line is almost certainly not going to be updated again this year. It's been long rumored (for over 2 years at this point) that Canon is working on a full-frame mirrorless camera. The camera was rumored to be released in summer 2016, then at NAB 2017, then in the fall of 2017, and now I'm reading rumors that it won't be until Photokina in the fall of 2018. No serious specs have been rumored, and the rumors seem so wild that I would be extremely surprised to see this camera come out this year. My best guess is that Canon is done for 2017. Fuji: Will the mythical high-end X mount camera come this year? Fuji has a cult following of very passionate photographers. The Fuji XT2 rivals any APS-C camera on the market in terms of image quality, but the real difference of the Fuji system is the “fun to shoot” factor with terrific controls of the camera on the body. Fuji seems to be focusing internally on their medium-format cameras in 2017 and has made little noise. I suspect that will change next year. It's unlikely that the XPRO2 or XT2 line will see updates in 2017, but rumors have begun to swirl about a high-end Fuji camera with a matching high-end price tag. I believe it's possible we'd see that update this year; however, the lack of meaty rumors in this regard makes me think it's more likely that we will see that camera in 2018. Perhaps it will be that camera which first incorporates IBIS. In my opinion, the Achilles heel of the Fuji system right now is the lack of a pro-quality wide-angle lens. Right now the only real wide-angle option is the 10-24 which is only decently sharp and notably has NO weather sealing. This makes Fuji a compromise for landscape photographers. However, there are so many benefits that many photographers are willing to live with it.